How To Get An MBA Degree: A Master of Business Administration is the most sought-after the graduation in the USA. This degree is versatile and used around the world. Obtaining the MBA degree offers a major boost to anyone’s career. Despite the popularity, a large number of people still aren’t sure what is involved in obtaining an MBA. If you are one of them then right place you visited. There are many question strike in your mind once you decide to do an MBA. Some of them are given below. 1. What is needed to get an admission in an MBA? 2. Which types of MBA courses are available? 3. Whom the MBA degree suits? In order to make a decision, you must be able to answer these questions to satisfy yourself. Higher education is highly beneficial but it also takes a lot of hard work and commitment. The last and important thing you want to do is blindly enroll in the program as you think you should. Earn your graduation: First of all, you need to finish your undergraduate program from an accredited university, as you are not eligible to get admission in MBA. Be ready for GMAT: The admission committee is interested in your academic track record. Your score on GMAT and your work history helps you to get the admission in MBA. Get practical experience: Most MBA programs expect from you to have a couple of years of professional work experience in order to get admission in MBA. Research Programs: Major University offer some form of MBA program. You must carefully research the program you like to join. Each school is different in terms of coursework, faculty etc. Check the requirements: You must check the requirements for the programs whether you are eligible to join or not. Many GPA & GMAT cutoffs are going to want to be aware of before you apply. Types of MBA Programs: There are many ways you can pursue your MBA degree if they have a full-time job or a busy schedule and needs flexibility. Full-Time MBA – It is a standard program requires typical workload the students which can take two years off from work. It will take two years to finish this game. Part-Time MBA – The students who are in a job or not able to attend school full-time. A part-time MBA takes three to four years’ time to finish it. They offer a similar curriculum like Full-time MBA, but a student misses developing relationships with fellow students & teachers. 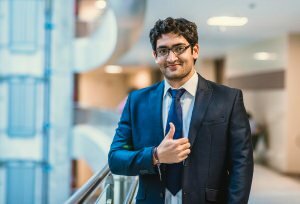 One-year Full-Time MBA: It is an intensive program and the time is limited, the students need to expect to take more classes as compared to other programs. Executive MBA: This MBA is designed for the students who are busy working professionals looking for their advance careers. In this, a student can complete the MBA in weekend classes as they have work experience. They can finish there MBA program in two years. Specialty MBA: An MBA degree is which is designed to expand the knowledge of a student in a given area. Dual Degree: The students who choose to study another field at the same time they pursue a degree in business. Online MBA: It is a great option for the student who would like to save the time and commuting. There are many ways to join an MBA you must check which way suits you. The curriculum is composed of various subjects given below. That’s all about the process of How to get an MBA. I hope above explanation is enough for you to start you career in the MBA.